XML Sports Feeds is an online sports data provider founded by true football and sports fanatics in the year 2010. Our organization is driven by dedicated people who strive to be the best at what we do. We currently hold offices in Copenhagen and Manila running 24/7 to cover all of the top sports leagues in any part of the world. 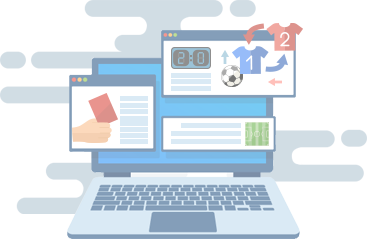 We initially specialized in delivering pre-match data for any and all sports platforms. As our product base grew, so did our coverage, as we expanded to live and post-match data for all the well renowned football leagues in the globe. Our mission is to deliver the best sports data experience with reliable, fast and accurate updates. We take pride in being flexible and accomodating to our clients needs as we highly value all our partnerships.